These are my honest reviews of items that I was given or tried at the Organic Trade show in Baltimore. This post also contains affiliate links, which, at no cost to you, means that I make money from Amazon when you shop. Favorite things time. Ok guys, this post is going to be huge, so I will break in into parts, but these are just some of my favorites. Honestly, there are just so many cool things out there. Not all of them are available yet, but will be soon! 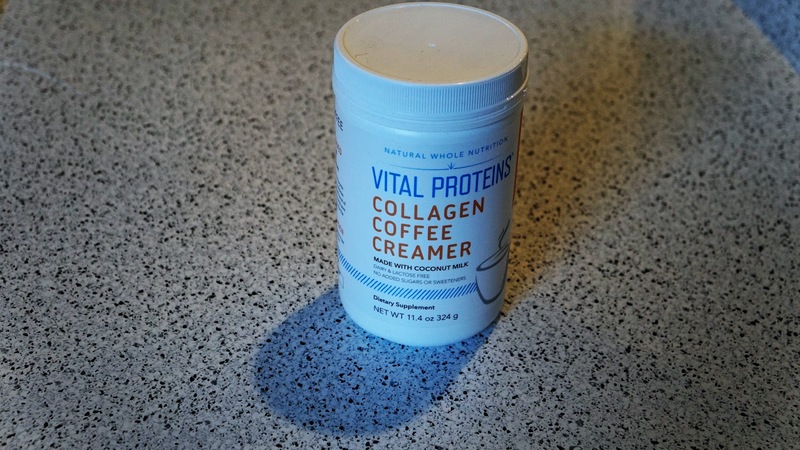 Vital Proteins (that I love and use already) has entered the world of coffee creamer. Flavored, and unflavored, it's a great way to add collagen to your day. Not available yet, but it will be soon. Plus you can get it on amazon. Rock the Locks, have you ever heard of it? Neither had I. From the folks who brought you Piggy Paint, they have entered the kids hair product line with a bang. They smell good, have no super yucky chemicals, and actually work. I am going to buy the stuff for curls and the texture paste for my son. 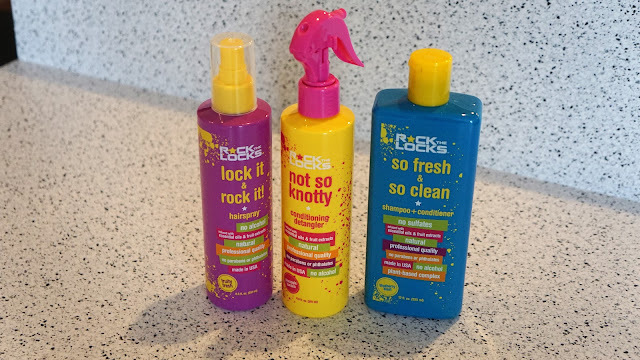 You can buy Rock the Locks on Amazon (yay), and Walmart. 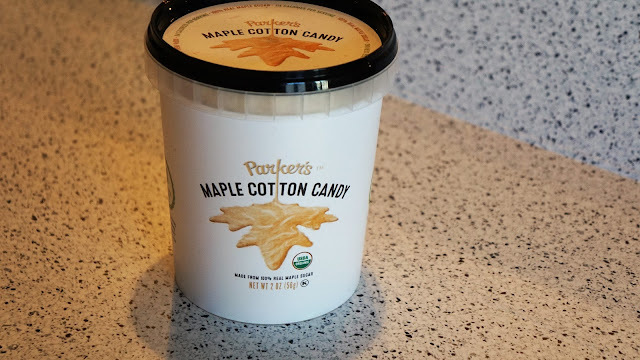 Parkers Maple brought their A game with this cotton candy. They actually had a machine and the whole place smelled like a miracle. 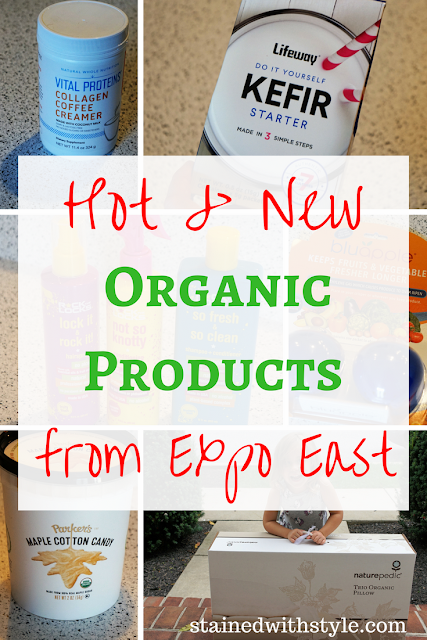 Recently featured on Shark Tank, they are working on the organic certification process, make some really cool products, and will be changing some things up just in time for the holidays. Its too good to even describe. 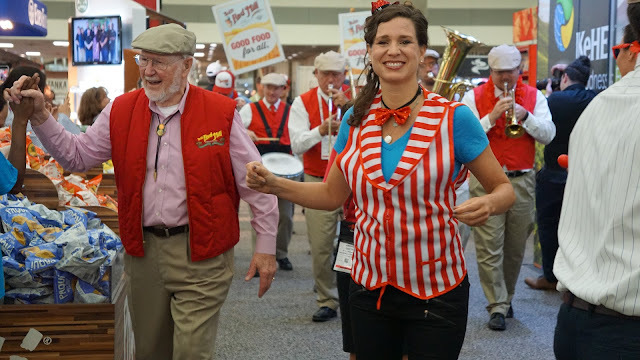 Its available via Amazon, and some Costco clubs right now! One of my favorite organic crib mattress brands (Naturepedic) was at Expo East, and I had to opportunity to chat about pillows. I have been struggling to find adult pillows that are organic, and comfortable. Also, I needed something that is waterproof because, well, kids. 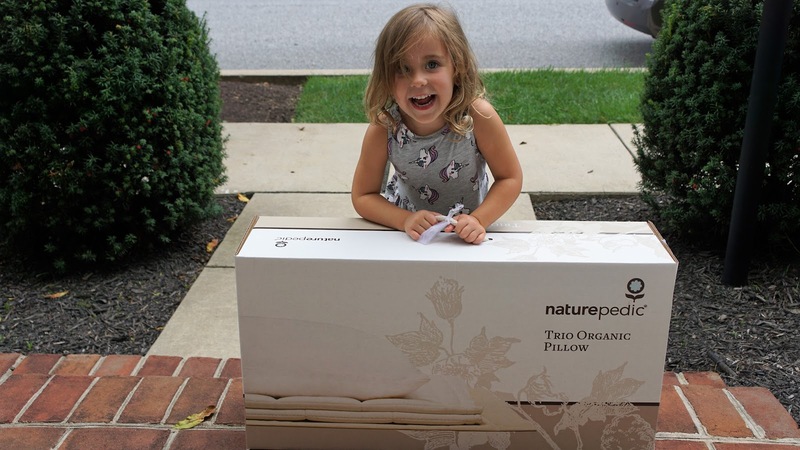 He introduced us to the Trio Organic Pillow, and we are FANS. He also told me about a really innovative modular mattress system, that is stair friendly, and you can adjust the firmness, by simply adding layers. I am seriously considering buying it. SOOO cool. Available in a lot of places, and also on my favorite...Amazon. We are always psyched to find ways to sneak a little healthy into snacks, especially for the kids. 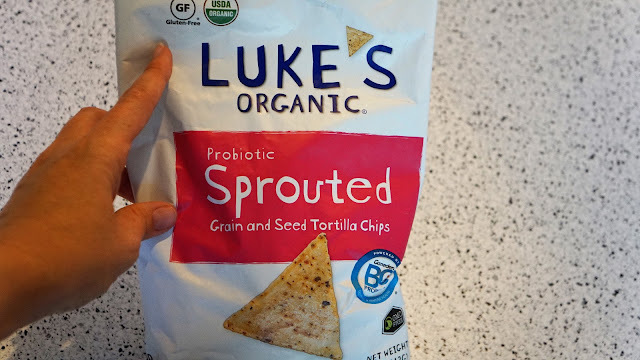 These new sprouted grain chips from Luke's organic are organic, probiotic and really yummy. If you run across the black truffle chips, don't hesitate. They are amazing too...My Whole Foods didn't have them, but you can buy them on Amazon, and in lots of grocery stores. That cool little guy is currently residing in my veggie drawer. 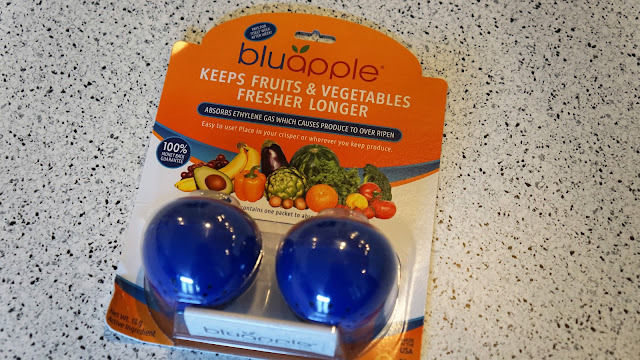 You just put that Blu Apple in with the fruits and veggies, and it absorbs the ethylene gas. It's supposed to make them last longer, and when buying organic, that makes me especially happy. Easily purchased at the container store, and Bed Bath and Beyond, you can also buy them on Amazon. 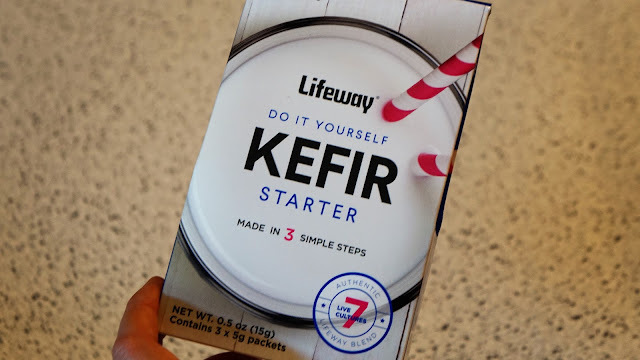 From Lifeway Kefir, they now have a DIY Kefir starter. My hubby is super excited by this, and my kids have been liking the kefir. It's basically like drinkable yogurt, if you haven't ever tried it. They also recently came up with an Elixir, which tastes like soda, and is probiotic. I tried it, and it is a GREAT soda alternative, and would be a fab mixer. (Just sayin...) You can easily buy it on Amazon, but the elixir has to be refrigerated.